the Aria Preamplifier and Amplifier combo ... will give classic, timeless, gorgeous sound and should last the owner perhaps a lifetime." David Belles had been making fine audio components for years. Amazingly, each new product sounds better than the previous. His 150A Hot Rod is a classic. As good as the Hot Rod was, the 150A Reference was a major improvement. Now with the ARIA Line, Dave has created amazing sounding components at very affordable prices. The ARIA 75 watt solid state integrated amp with MM phono is the best amp under $3000 we have heard. Hi-Fi Choice thinks the ARIA Integrated Amp is a winner, "If you love the smooth, liquid delivery of tube amps but wish they had more grunt, listen to the Aria." read the review. 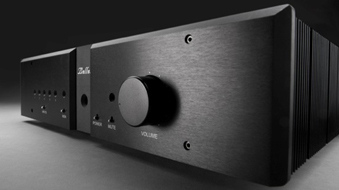 The ARIA Preamp with MM phono is a great solid state pre for under $1500. The ARIA power amp and the ARIA monoblock amps are also now available. Great amps. great price. 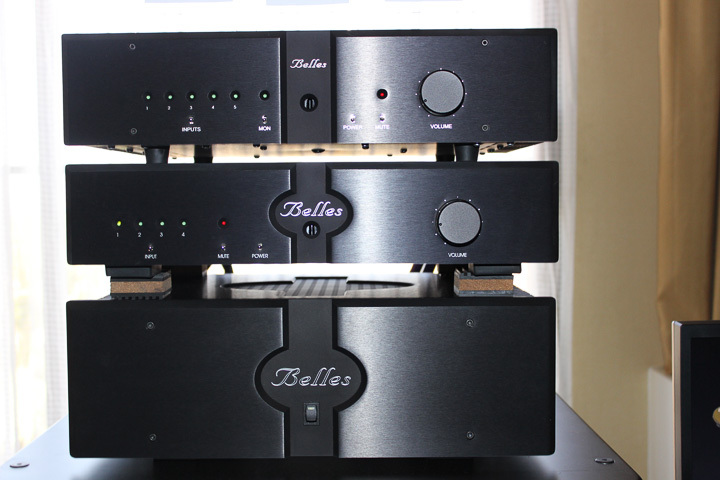 The Belles 22S Line Preamp is a great preamp for less than $3000. Also available are the Belles SA-100 100 watt and Belles SA-30 Class A 30 watt Power amps. Refined elegance. All Belles products have a 5 year warranty. Made in the USA. Belles Power Modules is a popular choice of amplifier in the UK. Hi-Fi+ in particular is fond of the VT-01 hybrid preamplifier (now in v2 guise at $5,495) and the SA-100 stereo power amplifier at $5,495, but we are also impressed by the little Soloist 1 integrated at $3,395. Call for prices on all Power Modules products. For more information about Power Modules products, click here.